During a financial briefing, Nintendo president Satoru Iwata stated the company is working to bring DS games to the Wii U’s Virtual Console service. No pricing or dates were announced. 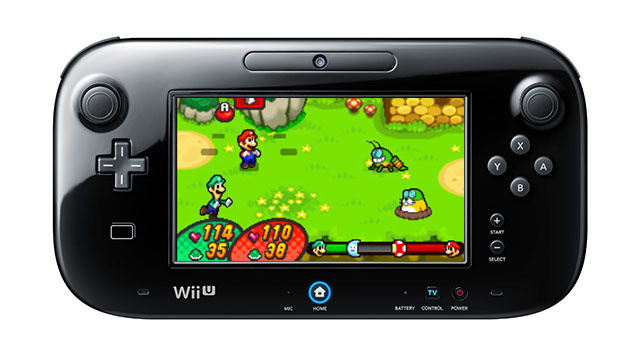 Wii U, of course, has a touch screen to utilize, mimicking the bottom screen of the DS itself. Games can still be played on the TV. There could be complications regarding games which split the screen for gameplay areas (Contra 4 comes to mind) although there is no guarantee those games would be made available. Nintendo has a history of making their portable systems playable on TVs, from the SNES’ Super Game Boy to the GameCube’s Game Boy Player. It makes sense for the DS to follow in this chain, although it is a shame this is not a physical attachment to utilize previously purchased carts. Clearly it is Nintendo’s best interest to resell these titles given their current financial situation.